Painters & Decorators in Hornchurch, RM12 4XJ. Covering Essex, London and Home Counties. AJ Wedge Building & Maintenance Ltd are a reliable and professional family business dedicated to designs and finishes of the highest quality, tailored personally for the customer. We are based in Hornchurch, covering Essex, London and Home Counties. We offer a full range of internal and external decorating services to home and business owners, and can provide a wide range of wallpaper and painting designs. We offer a friendly, professional service to very high standards, and have over 30 years experience in the trade. We pride ourselves on our reputation for excellent customer relations and care. We offer free quotes and estimates and can provide other services not listed above. "They showed up just before 8am. Managed to strip wallpaper and paint a bedroom, all done by 2pm. Friendly polite service. Highly recommended." "Work looks great and finished quicker than expected." 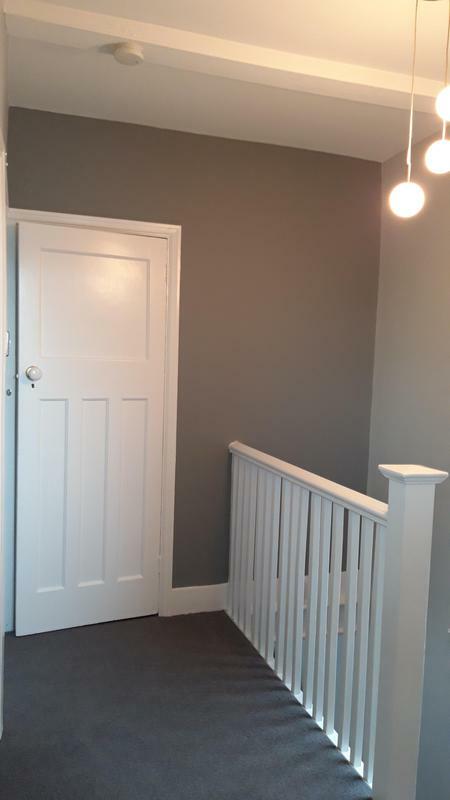 "We Hired Alfie Dave and Dean to paint hallway and porch they are helpful friendly easy going but professional and work brilliantly together I have no hesitation in recommending them as I will be using them again very soon thank you very much"
"I called AJ Wedge to wallpaper a Hall Stairs and Landing. I was very pleased with the work and booked him for some extra painting. I would highly recommend Alf to anybody."